This long feature on Precure as a franchise comes to an end with an extensive look at its production. I hope you’re ready for some magical girl animation history. 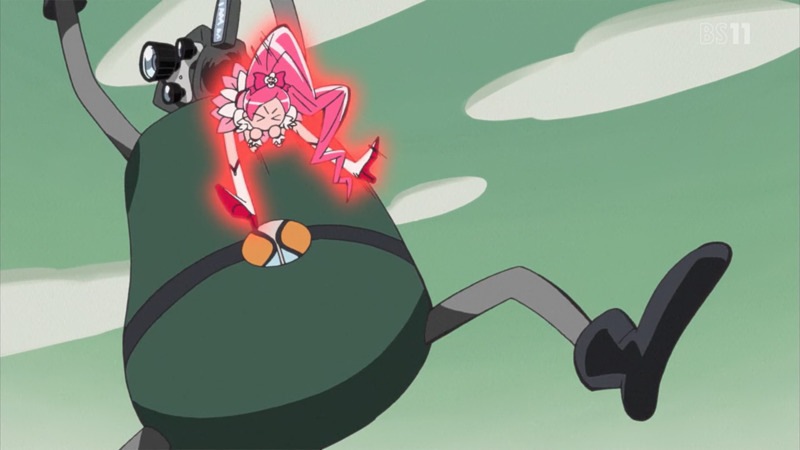 Precure’s nature makes its highlights rather misleading. You can effortlessly cherrypick material that would sell the series to right about anyone, then watch their reaction as they realize the anime as a whole isn’t quite that. It’s a franchise that has historically attracted very talented artists, which leads to exceptional episodes and jaw-dropping scenes in particular…but those are far from the norm, of course. Some of the most consistently polished long-running series have come from Toei Animation, but in modern times they’ve struggled to keep up the quality – especially with their ridiculous output nowadays, barely sustainable even with the studio’s colossal size. But unevenness isn’t just an issue within the shows themselves, there’s also quite the quality gaps between different series. Which factors determine whether an iteration of the franchise ends up being a solid production or not, then? The director goes without saying. I already mentioned their huge influence on the art design in the previous post, and that’s not even supposed to be their field. A strong overall vision and solid set of acquaintances are of foremost importance, and those are more traditional series director responsibilities. The latter makes a difference in the long run; Precure production is handled by about a handful of teams in continuous rotation, so if you don’t have multiple outstanding storyboarders in the core team no number of guests will save you. Beyond anything else though, it’s Precure’s animation that has the highest virality in isolation. I feel like I don’t have to explain the appeal of lavishly crafted cuts of magical girls beating the crap out of someone. There’s something inherently cool there, whether it’s hand to hand, effects-based, or a mix of both. But again, the density of those moments as well as the average polish of the show fluctuate yearly. A show’s fate is more or less determined before the production kicks off, since the figure of the character designer has that much weight. The designs themselves are even more of a decisive factor when you’re dealing with longer production cycles, so animation-friendly concepts are the way to go. In that sense, Yoshihiko Umakoshi’s work on Heartcatch Precure is on a level of its own; his relatively simple designs feature a low number of lines that make them sustainable, but they also stay striking and fun to look at even at the hands of poor artists, to a degree that makes you wonder if there’s actual magic at play. And on top of that, the character designers also have to supervise the entirety of the series as Chief Animation Directors, so they require good sense and fast hands. Another opportunity for Umakoshi to show off his mastery of animation, but this has also allowed people like Yukiko Nakatani to stand out; her work on Go! 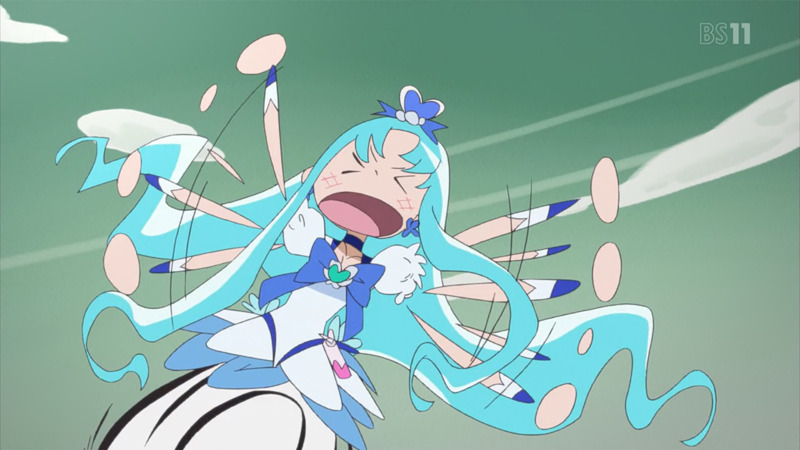 Princess Precure proved that as a hands-on supervisor her episodes’ drawings were all expressive and lively no matter the mood, and when she had to ensure a baseline of quality through quick corrections she fared exceptionally. Teams are composed of more than one person of course, and their reliability can make or break a production. Toshie Kawamura acted as designer and Chief Animation Director on both Yes! 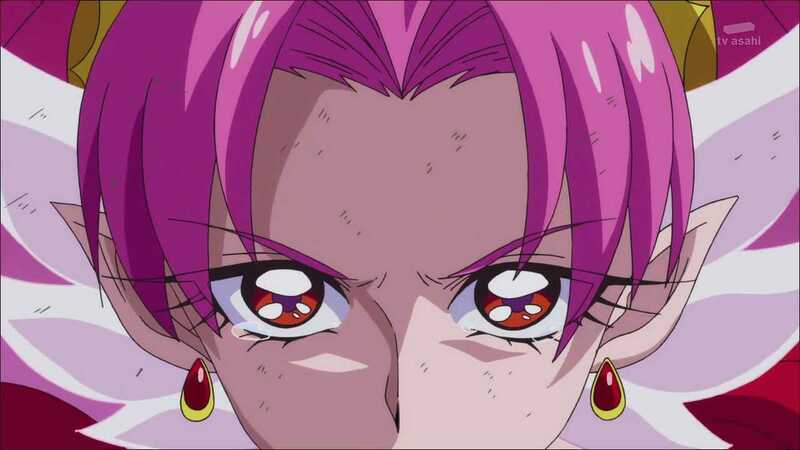 Precure 5 and Smile Precure, with way better results on the latter; the presence of people like the show’s main animation director Naoko Yamaoka allowed Kawamura to focus on ensuring a certain level of polish for the entire series, which in the end put it way ahead of her previous Precure adventure. Even the animation sensibilities I mentioned earlier can’t always compensate for a poor team, as Masayuki Sato is sadly aware. 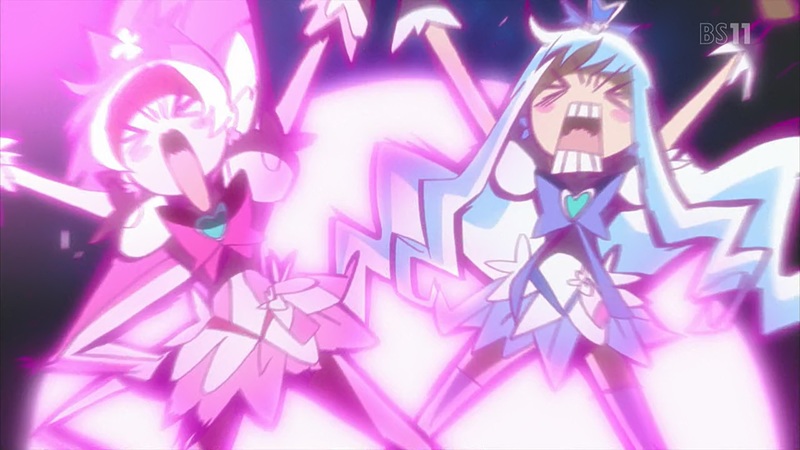 His heavily stylized work on HappinessCharge Precure should by all means have led to a fantastic production, but it happened to overlap with a historically bad moment for Toei as a whole so it ended up crashing in spectacular fashion – fans still remember the temporary promotion to animation director of one of the most unfortunate supervisors the studio has ever employed, a panic measure that had some…undesirable results. While these designers come and go, the core team generally remains. And that makes a journey through the history of the franchise’s animation a very interesting trip. 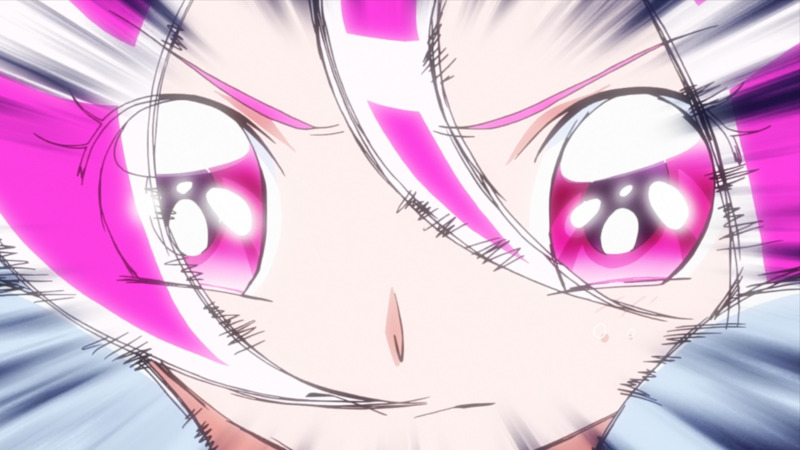 Simply by virtue of its endurance, Precure’s list of notorious key animators would put to shame almost any other title; after so many years, there’s an endless list of exceptional artists who have at least decided to give it a spin, either because of curiosity or due to an acquaintance being involved in one of the iterations. But if you look beyond excellent guests and occasional appearances, you notice fairly well-defined eras with different aces taking the lead. For the first two series that spot undoubtedly belonged to the veteran Tatsuo Yamada. His hectic style relies on lots of smears and loose drawings that almost give the feeling it’s all about to melt, but those deformations are aptly used as vehicles between his striking poses. Physicality was fundamental during Precure’s beginnings, as you would expect under the direction of Daisuke Nishio – the legend behind Dragon Ball! And while Yamada’s animation doesn’t have an impressive sense of impact per se, his sequences are bursting with kinetic energy and make any kind of action scene exciting. When combined with great layouts, those wild poses (often with extended limbs) led to some of the most iconic shots in the whole franchise. After his departure there wasn’t much of a dominant voice, besides the omnipresent Toei animation king Naotoshi Shida, but things quickly changed with the meteoric rise of Hironori Tanaka. Unlike the rather obscure Tatsuo Yamada, I feel like Tanaka doesn’t need much of an introduction anymore; everything flows under his pencil, from his effects that over time have influenced many top animators to the hair that might as well be liquid. Tanaka knew no restraint back then, so his scenes featured a staggering amount of motion – even when he was tasked with animating an entire chunk of an episode. But whenever there’s some pause, you get to appreciate the fact that he’s one of the best artists who have worked on the series. If he wasn’t an exceptional animator, he would have had no issue rising to the top as an illustrator. All good things come to an end however, and Hironori Tanaka eventually left the franchise to shine as a freelance animator. The following years became another transitional period, once again with Shida gaining relevance but also with other fantastic Toei-affiliated animators like Yuki Hayashi, Kazuhiro Ota and Yuichi Hamano being put in charge of climactic moments. 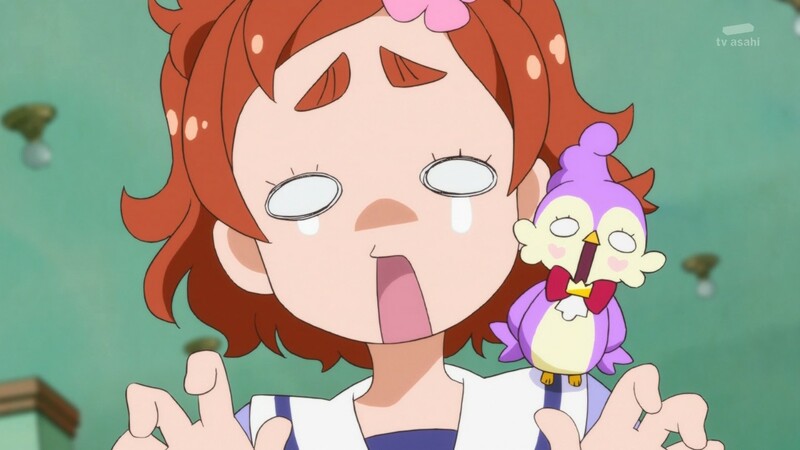 Lacking a defined leader isn’t bad per se, of course; Heartcatch Precure is easily one of the best animated iterations despite not having a clear key animation figurehead after all. The modern Precure animation era started around 2012, when Studio Live’s Nishiki Itaoka switched from Battle Spirits to Precure as his main occupation. Ever since then his workload on the franchise has kept on increasing to frankly absurd levels. Itaoka has animated many transformation sequences, stock footage finishers and important battles in his well over 60 appearances in the series – and then he goes back home and tweets hundreds of Precure drawings, because almost exclusively working on the show for years apparently wasn’t enough. It’s no wonder he’s endearingly called Mr Precure by his pals at Toei. His technical skill and versatility allows him to animate any piece of action they request of him, which means he’s at his best when coupled with excellent storyboarders; Yuta Tanaka might be his strongest ally, since his dazzling sense of staging and ability to play with space enable excellent sequences. As Go! Princess Precure’s series director he also helped Itaoka widen his repertoire – for the first time in years it was the webgen genius Shingo Fujii who majorly took the spotlight for the action scenes, which allowed Itaoka to grow in the character acting department. He confessed that his dream is to one day get a solo animation chance, so mastering new registers means he might eventually be able to craft a thoroughly phenomenal episode all by himself. And thus we arrive to the current series, promising quite a lot of change on all levels. One thing I neglected to mention is Precure’s different producers, which delimit the more standard boundaries for the franchise’s eras. To avoid getting too heavy on the pure business side, I’ll just mention that since its conception and for 5 years Takashio Washio was in charge of the series. He eventually left (though he’s returned as a planning member to a franchise that he treats like his child), and since then the cycles have been much shorter. Kira Kira Precure a la Mode will be the first series entirely handled by Yu Kaminoki, hence why we’re experiencing that revolution when it comes to the staff and their approach to the show. Mentalities aside, producers are also expected to secure talented creators, and that’s why some of Go! 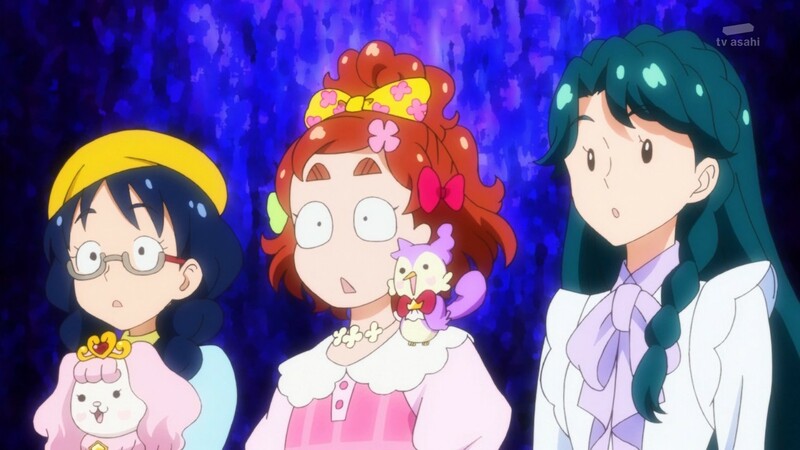 Princess Precure’s strongest people will be returning – that was the first TV series Kaminoki co-produced after all. In just a couple of episodes we’ve already seen fantastic animators who had severed their ties with the series like Takeshi Morita, as well as similarly skilled artists like Tetsuya Ishikawa who simply didn’t have much of a link to Precure before. Acquiring new regular talent is always a good sign, even if it’s something technically unimportant like Kodai Watanabe’s adorable animated eyecatches. And of course, Marie Ino’s Umakoshi-school designs and approach tick many of the boxes I’ve been talking about. But besides the individuals, it’ll be interesting to see what the overall plans are; with the show officially dropping punching and kicking in favor of effects supervised by the incombustible Takashi Hashimoto and generally less focus on standard action, asset distribution will surely be readjusted. It’s possible that we’ll see more outstanding animators handling lowkey and comedy scenes, a change I would personally welcome. Their approach to stock footage has shifted as well – there seems to be no individual stock finishers, and the transformations so far are being majorly handled by guests rather than the usual crew. Yuta Tanaka explicitly said that he decided to go with 3DCG for his finishers to allow the top animators to focus on the climactic episodes instead, and the results there spoke for themselves. Management is always key, and this time they appear to have a team with very clear ideas. I started with a warning that you shouldn’t attempt to watch a Precure series just because you saw a flashy scene, but if sincerely optimistic magical girls do appeal to you, it seems like this will be a very good year for their current dominant franchise. This entire write-up might have ended up being around 3 times as long as I intended it to be. Don’t tell anyone, but I think I might like this series. It’s nice to see an anime blogger who is also a fellow PreCure fan. This franchise deserves more attention than it usually gets in Western anime publications. After Maho’s troubled production I’m glad I have an excuse to actively push the series on this site, to be honest. Good for me as a fan and excellent for the blog (though not that many people read Precure stuff, which is understandable). Yo How Come Toei’s Other Big Shows like One Piece and DBS does not have the same kinda Consistency in quality that PreCure has..?? Always a pleasure to meet a fellow fan of this series. Also, I’m pretty sure Glitter Force (as cringy as the dub was) did fairly well in the West. Not extremely good but good enough. So where did Kaminoki disappear to last year anyway? Planning out her reign over Precure? 😛 It seemed like she was set up as Shibata’s successor and then a literal who produced MahoPre instead. 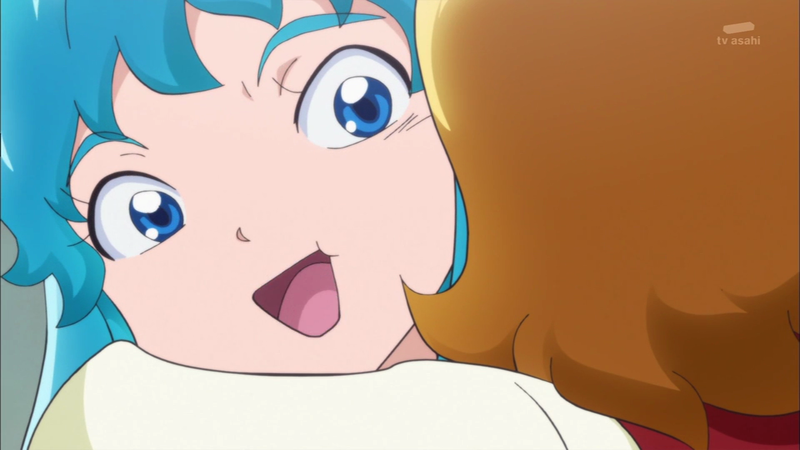 She makes me hopeful that whatever Tanaka is currently storyboarding is Precure, since she managed to build a solid set of recurring acquaintances. And it’d make sense for Fujii to say he would work on TV Precure on his latest KA book if he was aware Tanaka would return to the director rotation. 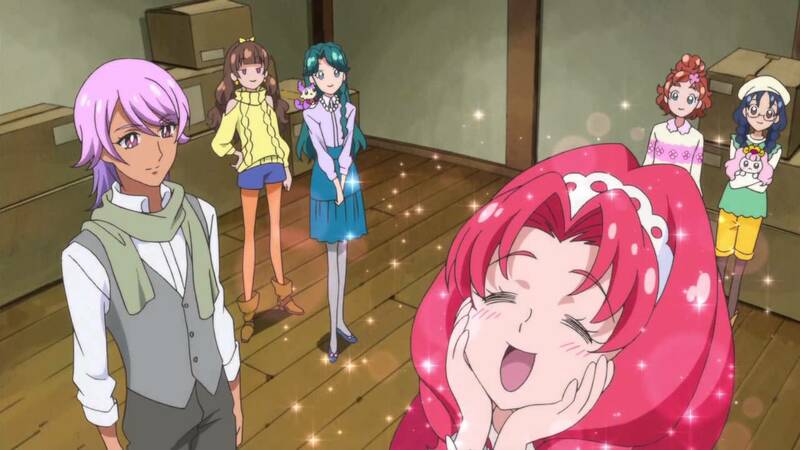 I found this series when searching on google for some background on how Precure’s animation ends up being so good, being that I’ve been watching and enjoying Heartcatch for a while now. This was the only article that was particularly informative (and fun to read with all these samples, at that), so thank you for making this. That makes me very happy! 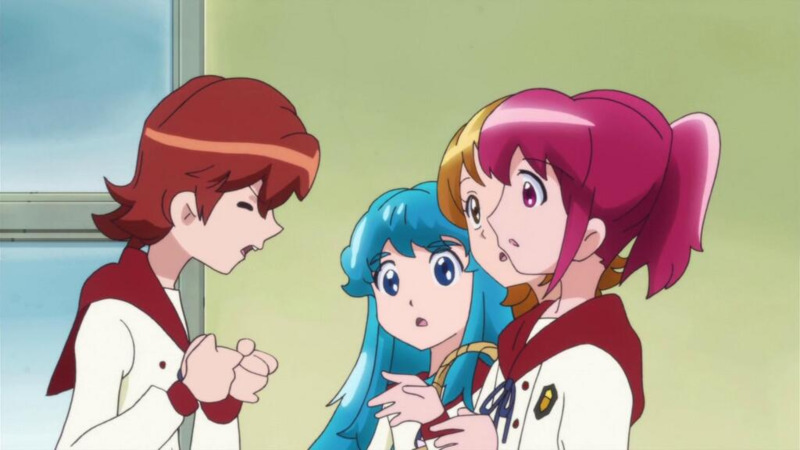 Heartcatch is immensely charming and still stands as the easiest recommendation in the entire franchise. I’m not surprised to see it still makes new fans curious about its craft. And welcome to the blog in general too! We’re still a fairly new branch of the sakugabooru empire.